The team found that the complexity and irregular occurrence of El Niño and La Niña events can be traced back to the co-existence of two coupled atmosphere-ocean oscillations, with different spatial characteristics and different frequencies. To elucidate the origin of El Niño diversity, a group of 40 climate scientists from 11 countries met in October last year at the IBS Center for Climate Physics and Pusan National University, South Korea. 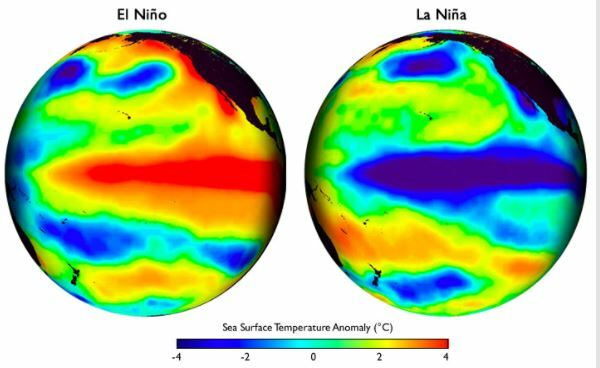 Analyzing large amounts of climate observations and computer model simulations, the team unraveled the mechanism behind El Niño’s capricious behavior. By running El Niño computer model simulations for different temperature, wind and ocean current configurations the research team found that Eastern Pacific El Niño events are characterized by a return time of 3-7 years, whereas Central Pacific events tend to recur on average every 2-3 years. The different character of these modes is determined by how strongly atmosphere and ocean interact with each other. In the observations however, the co-existing Eastern and Central Pacific warm/cold swings are far from periodic. The tropical Pacific climate system requires additional excitation, either through random weather events or through atmospheric circulation changes induced by temperature changes in the Indian and Atlantic Oceans. These interactions are an important source for El Niño irregularity, and limit how far ahead Tropical Pacific climate anomalies can be predicted. It looks like the forecasted El Nino for this year like last year may not materialize. The models can’t predict when solar is in a prolonged minimum state of activity because solar is not incorporated into the models as a climatic factor. Not even close. What is much more important for the climate is overall sea surface temperatures and in particularly the North Atlantic both of which are in an down trend which I had expected years ago due to very low solar activity. UV light being off by more then 6% , while overall TSI off .1% from the 2012-2014 solar maximum. UV light penetrating the surface oceans to depths of 50 m which means the amounts of energy imparted to the oceans from the sun is on the decline which of course results to lower sea surface temperatures. Overall oceanic sea surface temperatures now +.12C above 1981-2010 , in contrast to around +.34 c a year ago. Ocean tid bits website having all of the information. most of the Pacific Ocean. 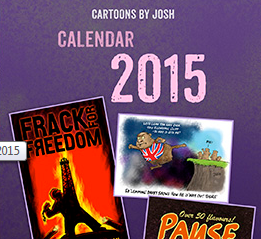 * Note: These statements are updated once a month (2nd Thursday of each month). This shows the reality of the situation. Yes very interesting Roger, and based on current Observations lack of Kelvin waves west-East and still good coastal winds from NW South America, fishing remains good off the coast of Peru, suggesting there is still strong upwelling there, weak westerlies evident however if El Nino developed during “winter season”. It will most likely be weak/moderate..Modoki. JOHANNESBURG – Latest forecasts from the South African Weather Service (SAWS) indicate that in the next few months, sea surface temperatures over the equatorial Pacific Ocean will become warmer than normal. 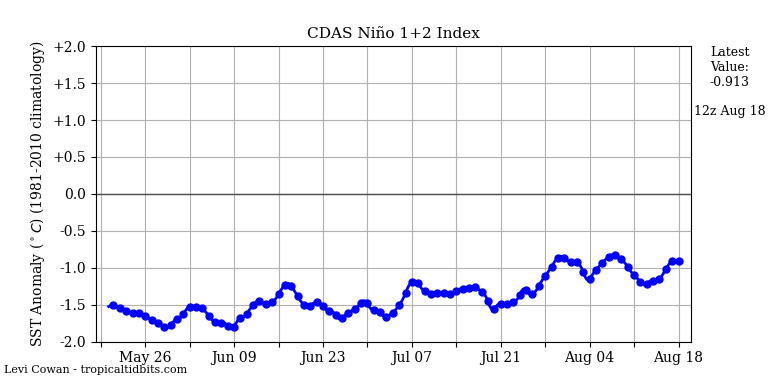 This means the area is going into an El Niño phase which will peak toward the end of this year. The National Oceanic and Atmospheric Administration (NOAA) in the US also expressed the same findings. Their [SAWS] latest forecast also explicitly states that it is still “too early to determine the potential impact of the predicted El Niño event”. The low surface temperature and jetstream prevent hurricanes from developing in the tropical Atlantic. If it is published in Nature it is likely to be junk science.There is no indication of a coming El Nino from SOI readings in the last 3 months. The SOI is around zero. I am still predicting the nest moderate to strong El Nino starting sometime around July 2019. This assumes that the next moderate to strong El Nino will occur near the dates when the line-of-apse of the Moon points directly towards or away from the Sun near the time of the Equinoxes (i.e. 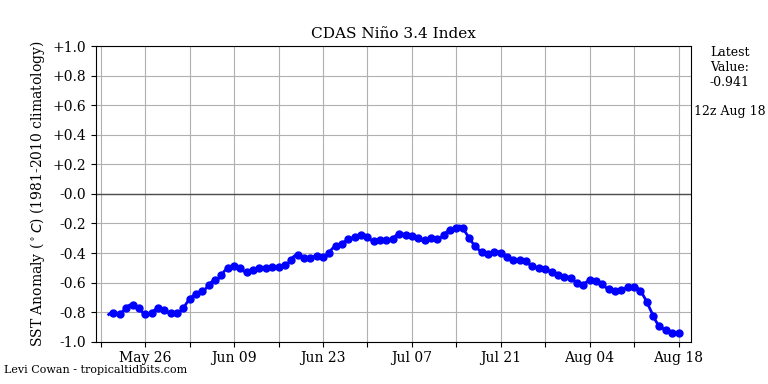 21st of March or 21st of September) This happens roughly once every 4.5 years, hence July 2019, which is ~ 4.5 years after the February 2015 start for the 2015/16 El Nino. There is one caveat, however. We have entered a nine-year period, starting in 2016 and ending in 2025, where it is possible for El Ninos to occur near the dates when the line-of-apse of the Moon points directly towards or away from the Sun near the time of the Solstices (i.e. 21st of June or 21st of December). The continuation of this sequence would predict an El Nino nine years after the last moderate to strong El Nino start in July 2009 i.e. starting soon after July 2018. I believe this outcome is not as likely as an Equinox aligned El Nino starting in July 2019, so I tend to side with Salvatore and Ren on this. Synopsis: ENSO-neutral is favored through Northern Hemisphere summer 2018, with the chance for El Niño increasing to about 65% during fall, and to about 70% during winter 2018-19.